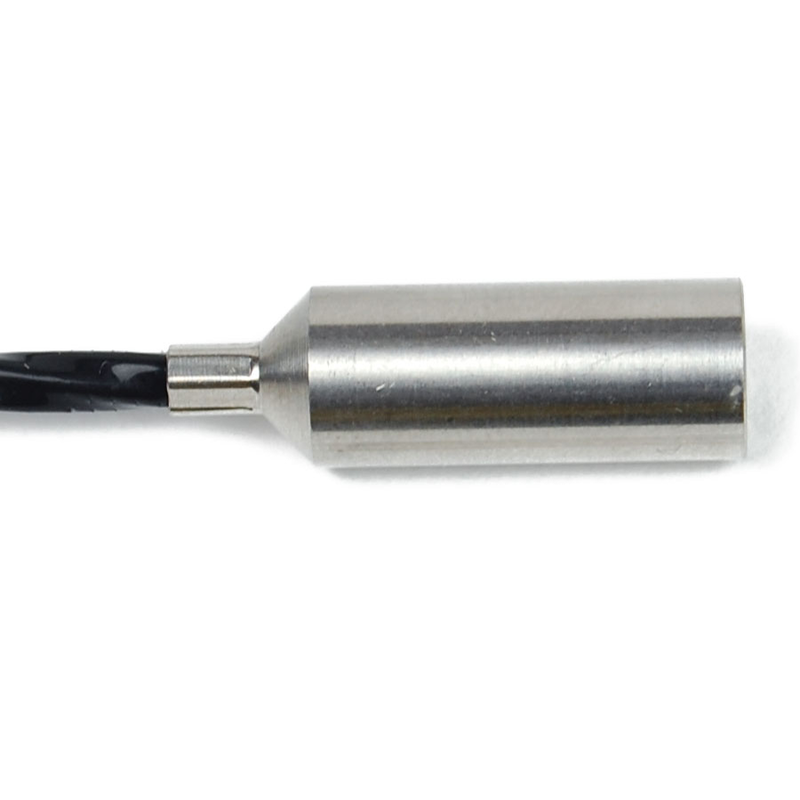 Our self-developed, high-precision data logger is ideal for museum showcases due to its simple, small design. 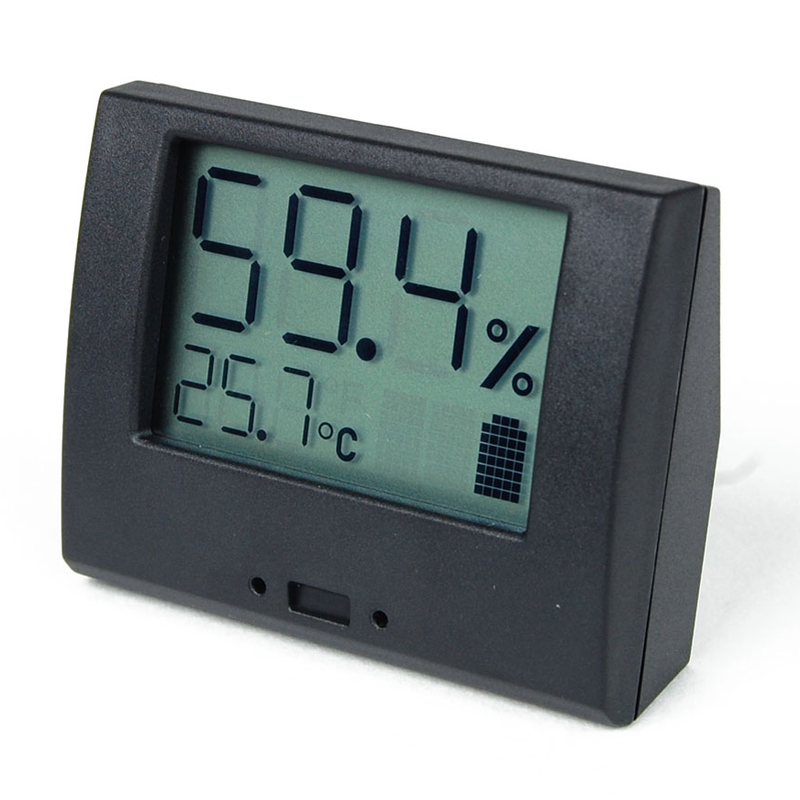 If the device is to remain invisible in the showcase or be accessible at all times, an external humidity sensor can be connected and the device itself hidden in the display case floor. 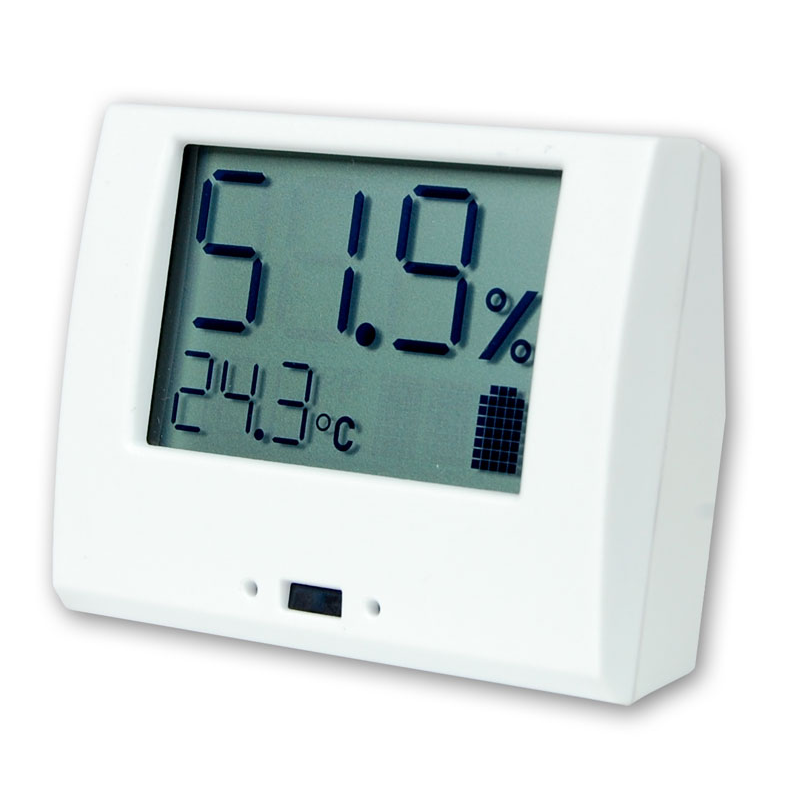 With the remote control, the device can also be controlled and queried through the display glass. 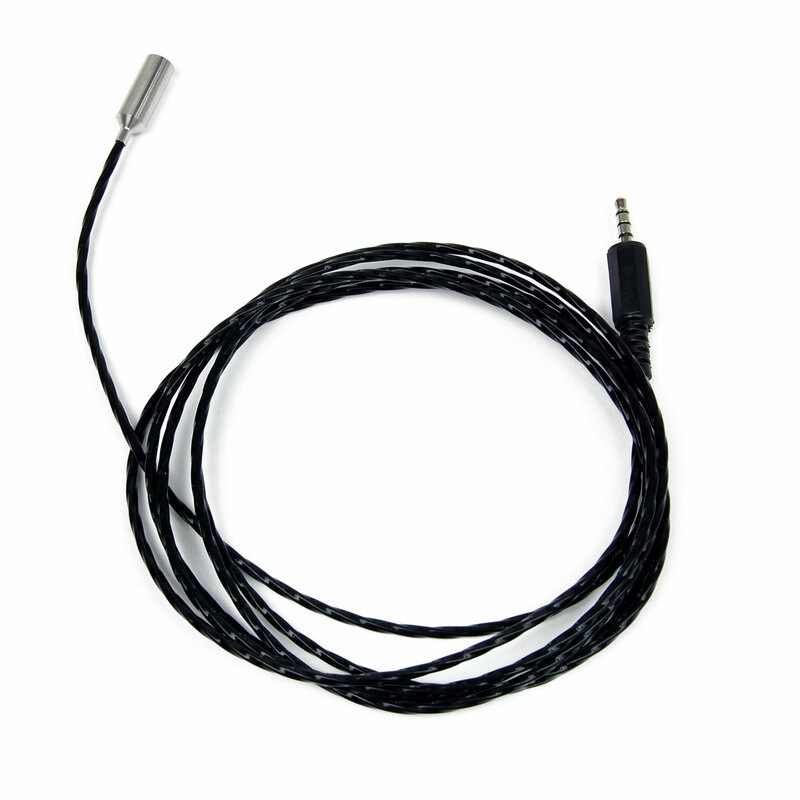 For light or sound signals when exceeding the alarm limits, an alarm cable can be connected. The included 2 GB microSD card allows storage of over 10 million readings. A unique accessory is the calibration set, which allows you to recalibrate and readjust up to 6 devices simultaneously. Because moisture sensors generally cause a slight shift in humidity measurements due to their aging, they should be calibrated at least every 2 years. The set consists of 2 boxes in which two different saturated salt solutions (NaCl and MgCl) generate a certain relative humidity. 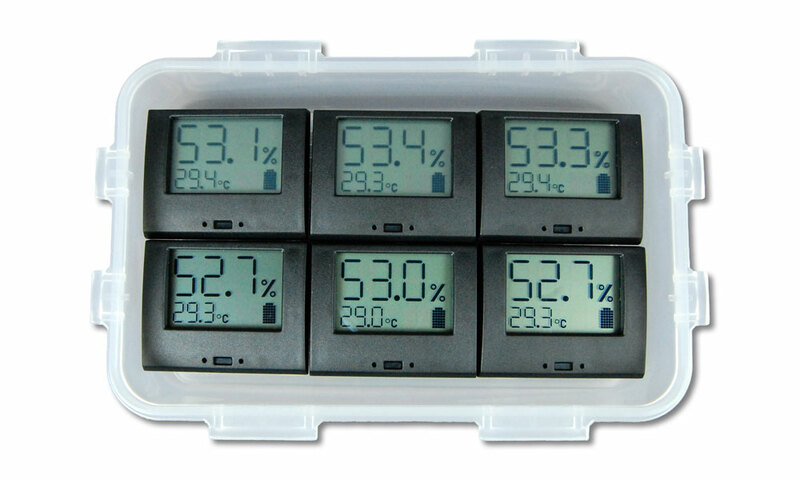 The devices are placed in the box and calibrated with the remote control at the same time to this humidity point. With the free software you can configure, read and manage the devices. You can hang any measurements and curves together and superimpose up to three curves to compare them. Two standard AAA batteries ensure a long service life of up to 2.5 years, depending on the measuring interval and the use of the IR remote control.